Jose Mourinho intends to bring in a centre-back,a right forward, and a striker before the ongoing transfer window ends. Manchester United have been quick off the blocks this summer, as they sealed moves for Fred and Diogo Dalot in a matter of weeks. According to reports, Stoke’s Lee Grant is going to make the switch to Old Trafford next, to become a backup for De Gea and Romero. But Mourinho isn’t done yet, as he wants to make three more additions ahead of next season. 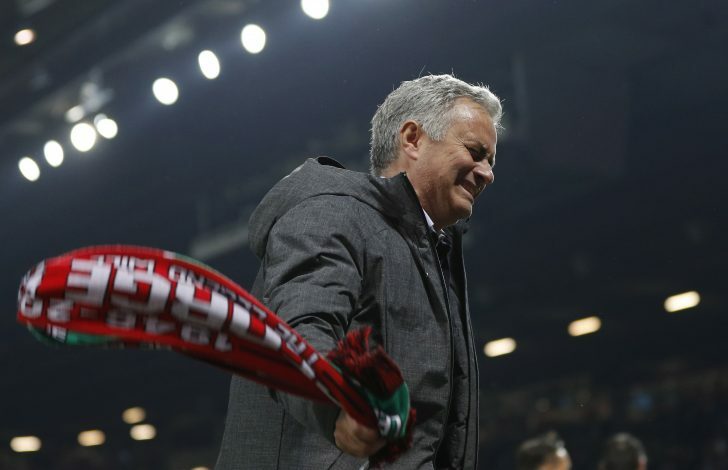 The Metro revealed that Mourinho held meetings with United’s top officials this week and submitted a list of positions that he wants to improve. The Portuguese boss is in the hunt for a centre-back to partner alongside Eric Bailly. English duo Jones and Smalling have put in mediocre performances, while Victor Lindelof hasn’t entirely settled in the Premier League. United were said to be closing in on Toby Alderweireld, but Daniel Levy’s £75 million valuation has put them off. Mourinho has since turned his attention towards Leonardo Bonucci, who is likely to move after AC Milan’s Europe ban. With Martial’s likely departure, United gaffer is looking to add a right-sided attacker to the squad. The Frenchman is poised to leave due to lack of playing time. Willian has been their top target in the position, but they will face competition from Barcelona. The Red Devils lack the luxury of an efficient backup striker. Marcus Rashford failed to nail down his place when Romelu Lukaku was injured towards the end of last season. In May, Mourinho had a look at West Ham’s Marko Arnautovic when he played for Austria. But the Hammers demanded a £50m for the player, which led the Reds to look for cheaper options. Mario Mandzukic has since emerged as a target, as per Express.